Razor Ruddock: Would his “Smash” have taken out Joshua, Wilder – Fury? Donovan “Razor” Ruddock was some exciting, ludicrously powerful yet at the same time flawed fighter. Blessed with awesome one-punch KO power, limitless guts and bravery and during his prime a fine chin, there was just one problem for the Canadian: he was plying his trade at the same time as all-time greats Mike Tyson and Lennox Lewis. This factor aside, though would Ruddock would’ve been able to capture at least a version of the world heavyweight title in the 1990s? Another questions: would the 1989 – 1991 version of Ruddock have proven too much for today’s best big men? Arriving on the world stage with a huge bang, “Razor” smashed two former champions to defeat in quite sensational style. First, Ruddock banged out James “Bonecrusher” Smith in seven rounds in 1989 (getting up from an early knockdown) and then, the following year, the Canadian scored one of the most frightening KO’s in recent memory when he all but decapitated Mike “Dynamite” Dokes in just four rounds. The world had been introduced to “The Smash,” Ruddock’s combination of a left hook/left uppercut – a punch, that if it landed, could do enormous damage. Pretty soon, another former heavyweight champion, in Mike Tyson, would be introduced to the punch. On the way back after his stunning loss to James “Buster” Douglas, Tyson met “Razor” in his third comeback fight. The two put on a memorable battle in Las Vegas in March of 1991, but “Iron Mike” proved the more skilled fighter. Ruddock had his moments, particularly in the sixth-round, but was then stopped, controversially, in the following session. Still upright but taking shots while on the ropes, Ruddock watched in shock as referee Richard Steele dived in to call a halt. “What? !” Ruddock bellowed, as his efforts were brought to an end. Many of the fans in attendance, some of them piling into the ring and helping to create an ugly scene, were screaming the same thing. A rematch was ordered and came just three months later. In losing again, but this time after going the full 12 rounds, Ruddock once again proved how seriously he had to be looked at as a fighter. Unfortunately, and unknown to anyone at the time, the busted jaw Ruddock suffered in the 12-round war with Tyson all but ended his days as a top class fighter. “Razor” was never the same again – certainly his punch resistance was never the same. It still came as one helluva shock, however, when Britain’s Lennox Lewis iced Ruddock in only two rounds a year-and-a-half later. Caught early, Ruddock was completely blown away by the man he had previously met as an amateur. Had it not been for those two damaging encounters with Tyson, and then the final elimination bout with Lewis, Ruddock may well have become a world champion. Who knows? As things turned out for the exciting and lethal Canadian, he never got as far as challenging for world honours; not even once. One thing is for certain: Ruddock would be providing some major excitement if he was fighting the best these days. Was Ruddock ever in a boring fight? 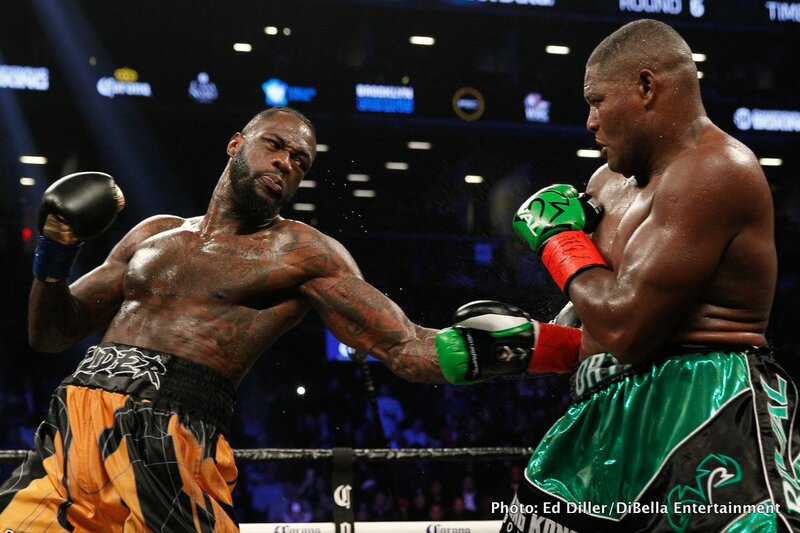 You are here: Home / Boxing News / Razor Ruddock: Would his “Smash” have taken out Joshua, Wilder – Fury?